Through our passion for decorating, since 1928 we’ve strived to inspire people to take on projects around the home by providing excellent quality and great value paint brushes, rollers and tools. We’re committed to regularly introducing fresh and innovative products into the market. Our goal is to make the decorating process easier – from start to finish. We promise to continue to design and manufacture superb decorating products for our loyal customers to use to improve their homes – which is backed up by our lifetime guarantee. In 1961, the company was awarded the Royal Warrant in recognition of product excellence. 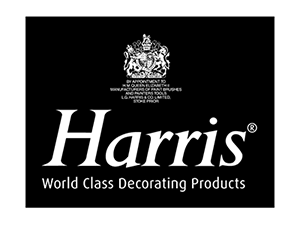 Today, Harris is a thriving company employing over 250 people in the UK and over 700 people at Harris China whilst leading the way in product quality and innovation; successfully supplying millions of decorators around the world. With an intense program of product development, Harris continues to demonstrate its market leading design capabilities in a way which makes decorating easier, enjoyable, and more effective. Combine this with one of the strongest brand portfolios and it’s easy to understand why Harris is the nation’s favorite. In 2003, Harris opened its first wholly owned Chinese factory and the Harris China subsidiary followed in 2007, adding to the list of Harris subsidiaries around the world including Russia, South Africa and Sri Lanka.